Get the best performance from your hardware & be VR Ready. 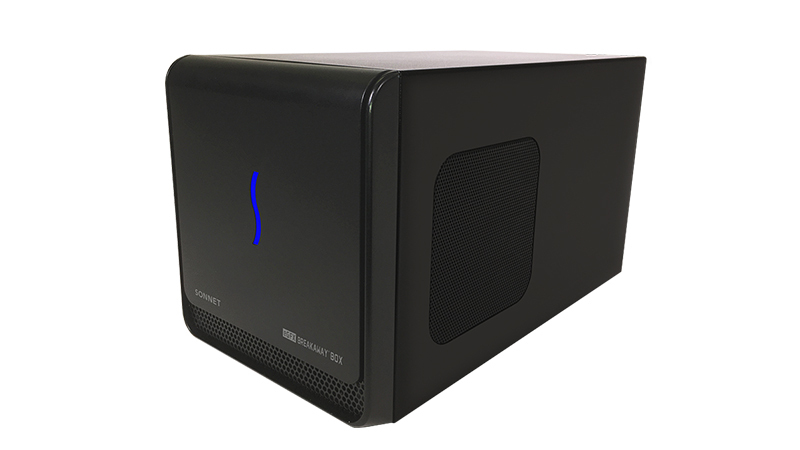 Leasing a Sonnet eGPU box is essential for anyone who needs more graphical power but is limited by the capabilities of their machines. This product enables you to connect High-Performance GPU cards to a ThunderBolt 3 computer maximising the transfer speed. 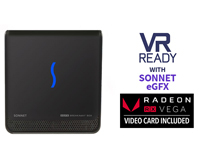 The Sonnet eGFX box supports all the latest graphics cards for all your editing, animation or rendering needs! We have pre-installed the Radeon RX Vega 64 comes already installed into the 650-Watt Sonnet eGFX so it is ready to go out of the box! Need even better specs then let us know and we can configure a unique VR Development bundle for you. 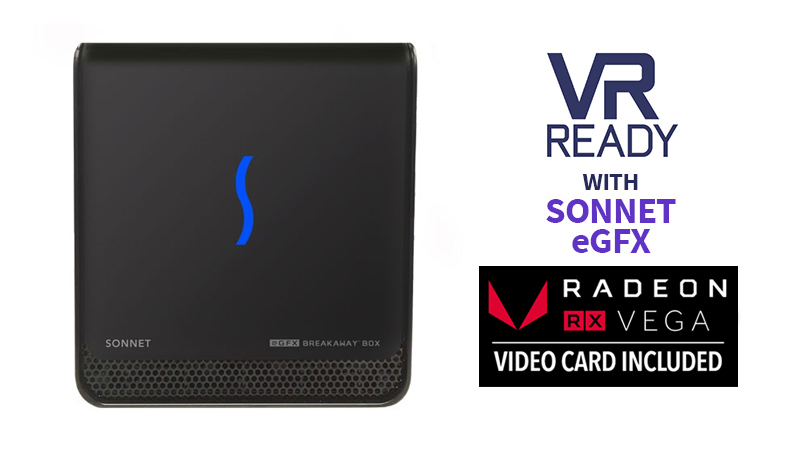 Become VR Ready and Lease the Sonnet eGFX with Radeon Vega Graphics from HardSoft!